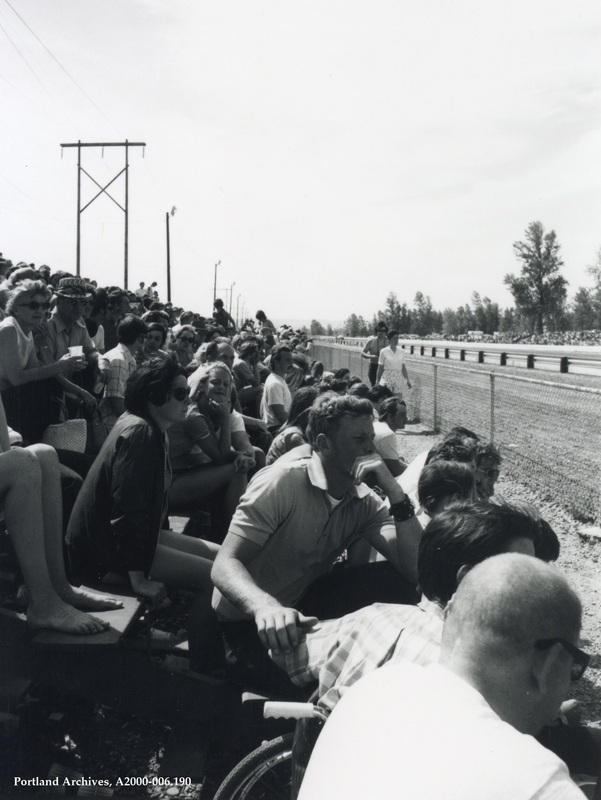 Crowd at the Portland International Raceway, 1972. City of Portland (OR) Archives, A2000-006.190. Burnouts and hot pants. I want to go back to the summer of 1972. And who could forget those large leather watchbands! Nobody I know is there. Not even the barefoot guy. That style of watch band (on the guy with his hand on his face) was popular back then. Along with choke chains and surfer crosses etc.